Smart meters are up to date two-way, digital communication systems that record electricity usage every 30 minutes and automatically send this data to a your electricity distributor. How are the costs of the smart meter being recovered? The distributors pass the costs through to electricity retailers over a number of years, and you’ll pay for these charges via your electricity bill. For questions regarding the Australian Energy Regulator’s approval of distributors’ cost recovery for rolling out the new smart meters, visit the Department of Economic Development, Jobs, Transport and Resources - Smartmeters. How much energy does the smart meter itself take to run? Similar to your current meter's energy use, the level of energy required to run the smart meter is very low – almost insignificant. You will not be billed for the energy used to run the metering equipment. Do I own the smart meter? No, the smart meter, like your existing electricity meter, is owned by your electricity distributor. Where can I get more information on the Victorian Government’s smart meter initiative? Visit the Department of Economic Development, Jobs, Transport and Resources - Smartmeters or call 136 186. Contact the electricity distributor in your area. Regarding the Australian Energy Regulator’s approval of distributors’ cost recovery for rolling out the new smart meters. Visit the Australian Energy Regulator's website. What are the roles of the electricity distributor and electricity retailer businesses in relation to smart meters? Your electricity distributor is responsible for installing your new smart meter. Your electricity retailer (EnergyAustralia) is responsible for billing you for the costs of supplying energy to you. These costs include the cost of generating energy, costs of the infrastructure and services to deliver energy to your premise and the costs for metering. Can I volunteer to get my smart meter installed now? In order to maximise the efficiency of the smart meter rollout across the state, customers will not be able to request the installation of a smart meter. These will be done in designated areas. You will be notified by your distributor when the rollout occurs in your area. What happens if my property is damaged in any way when the meter is being installed? If any damage occurs please contact your electricity distributor to report it. It will be investigated and resolved as quickly as possible. Will I have to pay the installer for the smart meter to be installed? The distributors will pass these costs through to your energy retailer and the costs of the installation will be recovered through your electricity bill over a number of years. This is the usual way in which industry programs are funded. Can I get the new smart meter put in a different location to the existing meter? A qualified meter installer will install your smart meter in the same location as your existing meter. If you would like to have your smart meter moved to another location following its installation, you need to contact a registered electrical contractor (electrician) who will advise you of the costs involved to relocate your meter. Will they knock on my door before they start the work? Yes. Prior to beginning the meter installation, the meter installer will advise that the works are about to begin. You will also be advised when the meter installation is complete. Do I need to be there for the smart meter installation? You do not have to be at the property when the smart meter is installed. However, your electricity distributor will require clear and safe access to your meter box to complete the smart meter installation. If you believe that a meter installer cannot gain unrestricted access to your meter, please contact your electricity distributor . To find the contact details for your local electricity distributor click here. Will my electricity be interrupted during the smart meter installation, and if so, for how long? Yes. As with any meter replacement, the installation of your smart meter will require a short power interruption of approximately 30 to 60 minutes. If you are at the property , the installer will inform you prior to commencing the replacement so that you aware that your electricity will be interrupted. If there are any unusual circumstances and the interruption takes longer, you will be advised. After the power interruption you will need to reset your digital clocks and other electronic devices. What time of the day/week will the actual meter installation be performed? However, some work outside of these hours and on weekends may be required. You will be informed if this is necessary at your property prior to the work commencing. What if there is a problem with either the smart meter or my electricity supply after the smart meter is installed? After the smart meter has been installed, your local electricity distributor will provide details regarding who to contact if you have any problems with the new smart meter. Where can I find information on how to read my smart meter? Most distribution companies are attaching stickers on the lower part of the meter and/or are providing a flyer at the time of installation to explain to customers how to read their meter. For questions regarding the operation or if you have had a new smart meter installed but have not received information on its operation, please contact the electricity distributor in your area . Will my first bill after the meter replacement look any different? Not necessarily. If you're an EnergyAustralia customer, you’ll be notified of any changes to your electricity bill prior to or at the time you receive your bill. Will there be any other visits after the initial smart meter installation? 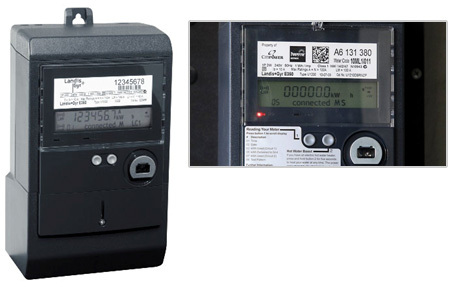 The electricity distributor is responsible for ensuring that the smart meter operates reliably and accurately. There may be a need for additional visits to check the meter from time to time, though this is not expected to occur often. Your distributor will contact you about these visits if it is likely to impact you, however this is unlikely to be the case.